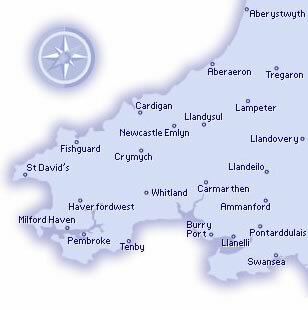 The South West Wales Branch of the School Library Association exists to provide support, training and events on a local basis for its members across the area of Carmarthenshire, Ceredigion and Pembrokeshire, Powys and the western areas of Swansea. We aim to raise the profile of school libraries and their staff, sharing information, ideas and good practice through meetings, courses and events, and are committed to working towards effective school library provision for all schools. We'd love to welcome new members, as well as current members, to any of our meetings and events. If you need any further information, please feel free to get in touch with the Chair or Secretary. Hope to see you soon! Join us in Milford Haven School's recently remodelled library for our Summer meeting, AGM & Social at 3.00 p.m. on Thursday 29 June 2017. [Please note the change of date from Thursday 8 June 2017 owing to the election announcement]. Members and non-members are welcome to come along. As well as the usual updates and general discussion, our discussions will focus on successful reading promotions which make an impact. Share what works for you! Why not bring along a recent favourite read to wave and rave about, and tell us what is going down particularly well in your schools at the moment! We'll look at reading groups, book awards and Carnegie & Greenaway Shadowing, visiting authors, storytellers etc, plus top Twitter tips. Although the meeting is free to attend, please contact the Secretary if you're planning to come along, so we are aware how many to expect for refreshments. Celebrate the SLAat80 too, with a slice of special birthday cake. All members attending (or non members joining on the day) can claim a special SLAat80 free gift ! Win a book bundle in our celebratory raffle. Networking continues after the meeting with a Summer Social - join us for a meal at the beautifully situated Harbourmaster in Nelson Quay, Milford Haven, SA73 3AZ from 6 p.m.
For details of other events past and future, please see our Events page.